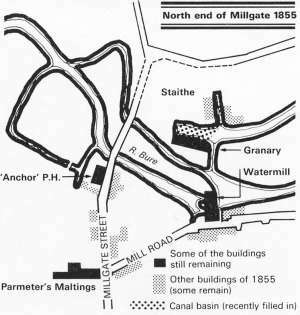 Over the centuries the whole area was moulded and developed with Millgate becoming a hub of industrial activity once the 11 mile long Aylsham Navigation was opened on completion of the new canal basin excavated alongside the mill in October 1779. 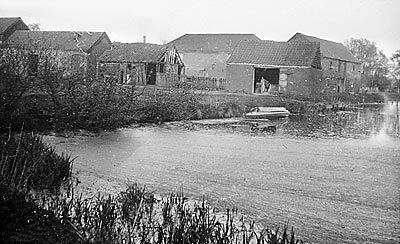 A channel was cut to the north of the mill and a staithe with warehousing was built to house the goods transported in and out by wherry. By 1854 wherries plied weekly between Aylsham and Yarmouth. 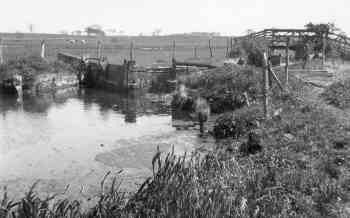 At the height of the water transport years 26 wherries were serving Aylsham. In 1880 the railway arrived. Aylsham North's M&GN station a few hundred yards away took over some of the traffic when it opened, as did the GER's Aylsham South station. Nearby pubs and inns such as The Anchor thrived for many generations. 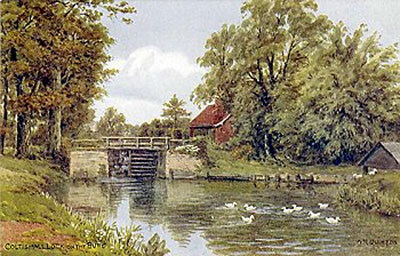 The Commissioners of the Aylsham Navigation are desired to meet at the Black Boys in Aylsham, on Tuesday the 16th of September next, at Ten o'Clock in the Forenoon, to audit and settle the Treasurer's Accounts, when Interest on the Loans will be paid the respective Proprietors. And Notice is hereby given, that the Commissioners of the said Navigation will meet at the Black Boys Aylsham on the first Tuesday in every month after September next, at Ten o'Clock in the Forenoon, until the General annual Meeting to be held in August 1784. LR - Sam, can you remember starting at the mill? LR - How old were you when you went? "Thirteen. 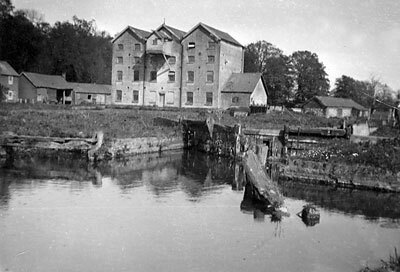 I left school and passed an examination, and left school and went to work at the mill at thirteen years old"
LR - Was that in 1904? LR - Where did you work in the flour mill? 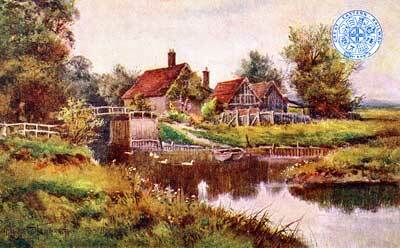 I was born 13th September 1890"
RP - You'd remember the wherries, then? "I should think so, I rode on scores of them - 'Cyprus', 'Alexandra', 'Kate', 'Zulu'"
"Yes, - that's right, and I went as a boy, and greased the slides what that keel was on - we took her out of one river, crossed the road into another river, and I was the boy, I had to grease these slides where that keel slide in, you see - she was crossed up, you know, kept upright, and put her out of one river into another 'cause the lock was washed away. And I went there as a boy, and that's the hardest day's work I ever done in my life - carrying them great long pieces of wood, you know,"
RP - Do you remember how big the wherries were? .. that was their wages 15 shillings each, and they'd be gone a week, and they'd take their food for a week in a frail basket, if you know what that is and they'd bring the grub back again, they'd live on beer going down there and coming back - that is the truth. That was wherrymen in those days"
RP - What did they carry? "Fifteen tons - anything, coal, kale, cake, corn, maize anything of that sort, and bring groceries up here for the shops up town - onions, great boxes of onions - all sorts". 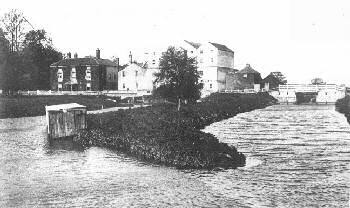 Funds have been made available to help uncover the history behind one of Norfolk's working waterways from days gone by. 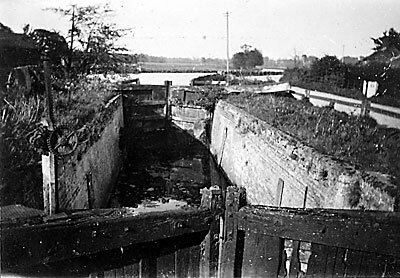 The Aylsham Navigation, a 9.5-mile stretch between the town and Coltishall, was closed in August 1912 after floods washed out the five locks and some of its bridges. 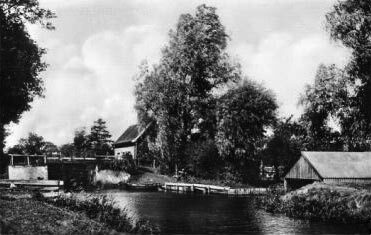 From the late 18th century until then, the navigation, part of the Bure valley river system, had been a major route for trade between the two communities and beyond, with wherries travelling its length to deliver and take away goods. 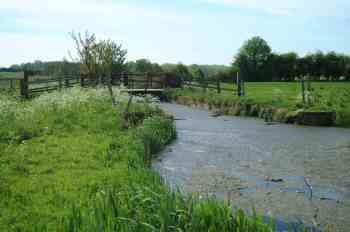 It is said that, at the height of the water transport years, 26 wherries were serving Aylsham. 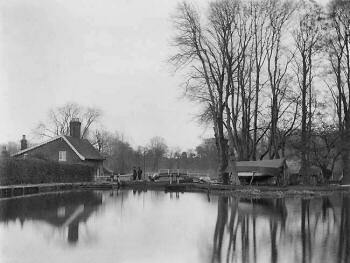 But after the flooding disaster the navigation was never reopened, and it was formally abandoned in November 1928. Now, a project has been launched to commemorate the centenary next year of its closure. Part of this is a collaboration between Aylsham Local History Society and staff and students from the centre of East Anglian studies within the school of history at the University of East Anglia (UEA). The team is known collectively as the Aylsham Navigation Research Group, and it aims to uncover the history behind the navigation, making use of archive material held by Aylsham Town Council. Also it could include underwater research conducted by the Nautical Archaeology Society. The research group has just been awarded £5,500 of funding to help with the project. The group hopes too that it will ?hold a centenary exhibition in September next year at Aylsham Town Hall. The research team is part of a much wider umbrella group that is ?co-ordinating the Aylsham Navigation project: this includes parish councillors, the Norfolk Wherry Trust, the Museum of the Broads, and the Broads Authority. 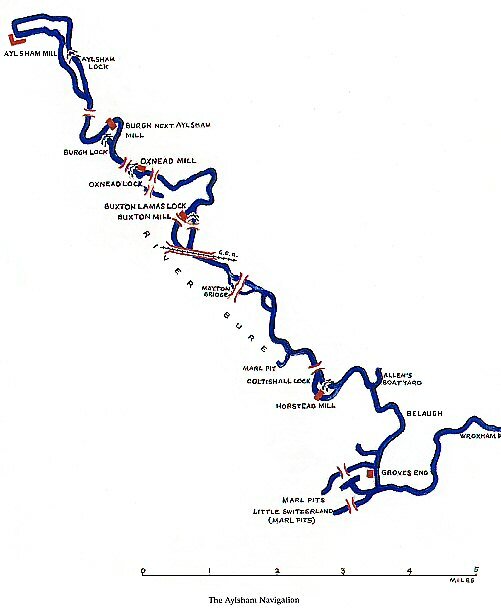 The overall group is planning to sail a wherry all the way along the navigation on August bank holiday 2012. The idea is to take the 112-year-old Wherry Albion, one of only two remaining trading barges built specifically for the Broads, to Coltishall with some token cargo, possibly coal or sugar, and then use canoes to transport the cargo ?from Coltishall to Aylsham. Stuart Wilson, who chairs Brampton Parish Council and who is serving ?on the umbrella group committee, said members had been making good progress with their plans. 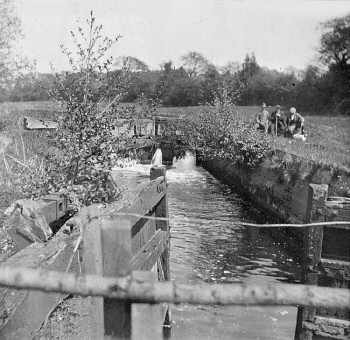 He added that one of their plans, subject to receiving landowners' permission, was to have a waterside trial from Aylsham to Coltishall and to do a wildlife audit on the waterway.